When will work begin on much-needed new schools in Nolensville? We asked, and have some answers. Last Monday, the Williamson County Education Committee said yes to the school district’s request for design funding so plans can proceed for two new Nolensville schools. It’s a step forward; as student enrollment numbers continue to grow, both a new high school and K-8 school are needs. The question is when those needs will be met. 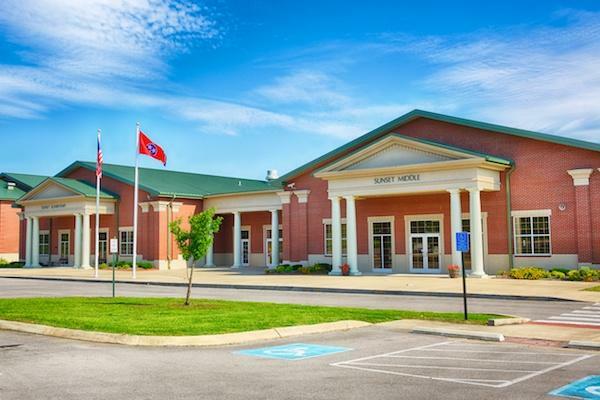 Last December, a 100-acre property at the northeast corner of Nolensville and York Roads was secured from York Road LLC for $4 million for the construction of the two new schools. The previous five-year capital plan projected the high school opening at 2015, and the elementary and middle schools, or K-8 school, at 2016. Now, the K-8 school is expected to open in 2015, and the high school is expected to open 2016. Construction on both schools will begin at the same time, but the high school will take two years to build while the K-8 will take one. At the Aug. 15 Board of Education work session, the change in timeline was disclosed with the reasoning that the district did not receive the design funds requested last year, which pushed the timeline for the schools back. The Home Page asked WCS superintendent Mike Looney why WCS would plan to open the high school in 2015 and the elementary/middle school in 2016, if the school district did not receive the design funding it needed. Designing is a 10-12 month process, Looney said. Even if design funds are in hand this fall, construction would not begin in time to open the high school in 2015. County Commissioner and Nolensville resident Lewis Green speculated about the need for the design process when there are other school models ‘ like Sunset Elementary and Sunset Middle ‘ to follow. ‘Why do we need a design process; why not use plans we already have to copy another school?’ he asked, saying that eliminating or speeding up the design process could put the schools on a faster track. At the Education Committee meeting Aug. 26, Looney named Sunset Elementary and Sunset Middle as an example model for the new K-8, and Summit High as an example model for the new high school, but said the designs are not yet determined. ‘If we do use [those schools] as the model, we still have to redesign based on the property layout,’ Looney said. Even if plans move as quickly as possible on design and construction, administration is still pressed to find a way to relieve overcrowded high schools ‘ like Ravenwood High, where enrollment is pushing 2,000 ‘ before 2016. Looney proposed that the K-8 school also enroll ninth and possibly tenth grade students for the 2015 school year while the high school is completed. Other solutions will be discussed with the board if the county grants design funds. The school board will begin the rezoning discussion this year, but it’s too soon to say precisely which schools would be rezoned for the Nolensville area, Looney said. He said administration has committed to notify parents of rezoning prior to the start of construction. This summer, construction and renovations were done on four county school auditoriums, which raised the question of why auditorium funds didn’t go toward the new schools. Looney said he believes funding should not be concentrated in one area. ‘We have a comprehensive capital plan, and I do not believe it would have been wise to put all of our eggs in one basket. The reality of it is that all of our school community has needs, and we are working to meet them all to the extent possible,’ he said. County Mayor Rogers Anderson goes to the bond market in September, which means Williamson County Schools could have the design funds by late September or early October. Looney said administration will push the architect to move plans and approvals forward as quickly as possible once the design funding is secured, but the district will then need to go back to the county and secure construction funding.